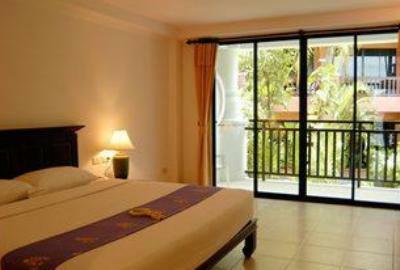 Leelawadee Boutique Hotel Phuket is located within walking distance to Patong Beach on the west coast of Phuket. 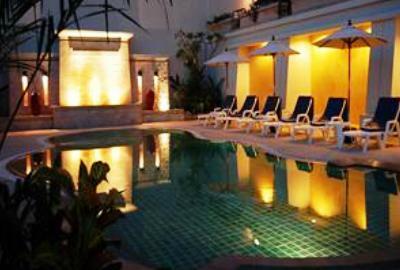 The Leelawadee hotel incorporates a blend of Balinese design with all the elegance of modern Thai culture. This three star Phuket hotel is fantastic for budget travelers. 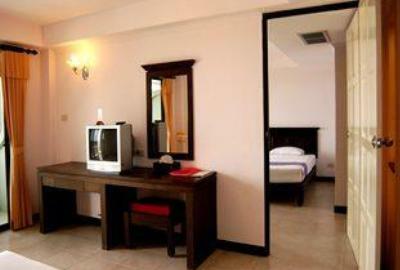 Or for those who don't mind and are able to walk fifteen minutes to the beach or the nightlife of Bangla Road. 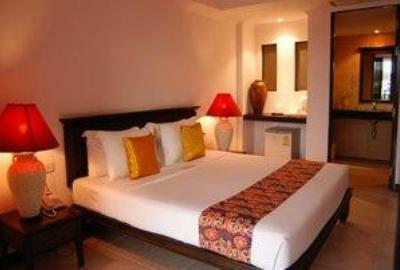 The Leelawadee Boutique Hotel has 37 deluxe rooms which are stylishly decorated in modern Thai furnishings. Each of the rooms at the Leelawadee have a private balcony overlooking the swimming pool or the tropical gardens. If you are looking for good priced room rates for a hotel at Patong Beach, the Leelawadee Boutique Hotel Phuket is very good value for money. 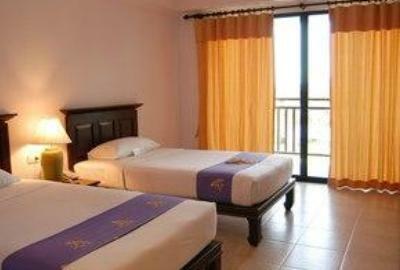 The Leelawadee Boutique Hotel is also great for cheap family vacations in Phuket, with interconnecting rooms available. The Leelawadee Boutique Hotel has a range of facilities and services to make your vacation in Phuket a relaxing and enjoyable experience. Some of the facilities at the hotel include a free form swimming pool, a cascading waterfall, a Jacuzzi and a poolside bar. You can enjoy a light snack or drinks at the poolside bar, or relax over an a-la-cart meal at the Leelawadee Restaurant. There are a lot of good restaurants located close by the Leelawadee Hotel as well as a cheap place next door for massages. Across the road are a couple of good coffee shops with motor bike rentals close by. Note: There are quiet a few stairs you need to walk up to get to the rooms. The Leelawadee Boutique Hotel is very good, read hotel reviews from other guests that have booked their accommodation online with Agoda. Or see what other travelers have to say about their vacation at the Leelawadee Boutique Hotel on TripAdvisor.